After an office holiday party where the karaoke was in full effect, I'd be lying if I said my throat wasn't a little bit sore. 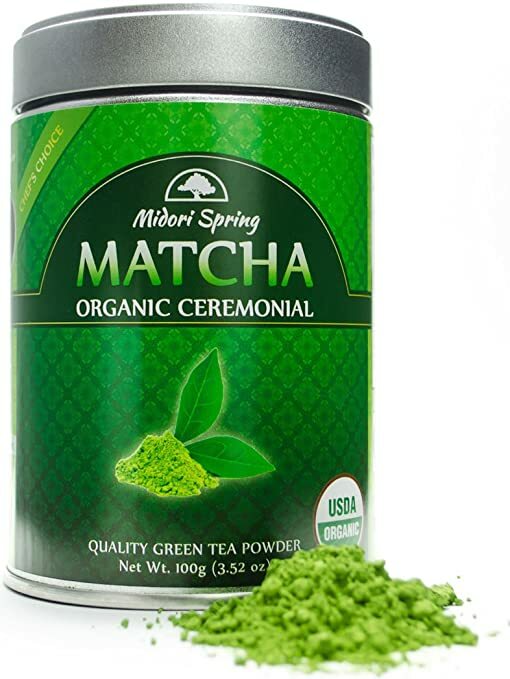 But luckily, the good folks at Midori Spring sent me a tin of matcha tea. Which, if you follow the instructions, makes a really delicious, soothing cup of goodness. Feel free to add a little extra flavoring, like honey, almonds or cashews, but really, this tastes pretty darn good on its own. Better than other matcha I've tried, for sure. And lo and behold, the next day, my throat is as good as new. Or it was, until I got a slight touch of the flu from being outside for a lengthy amount of time (it's a long story, but basically, fog is the worst). Anyway, I fortunately had some more tea to indulge on, and it helped the sinuses clear up a bit. Best of all, you don't have to throw this in a tea pot to then pour in your nostrils, as the old wives' tale goes. You can just drink it like a normal person. Don't be alarmed by the size of the tin, either. Each serving only requires 1/2-3/4 teaspoon of the powder, so unless you're drinking several cups a day, this will last you quite a while. Which is good, because I don't plan to stop singing anytime soon. Cheers!